West Coast had to settle for second place behind Gun Runner in the 2018 Pegasus World Cup at Gulfstream Park recently, however, the American horse now has the opportunity to claim the tag of the highest-rated racehorse in the world as Steven Asmussen’s champion thoroughbred has retired to stud. Turning the bend in the Pegasus World Cup, West Coast looked to be poised to take the lead from Gun Runner, however, the leader found an extra gear inside the home straight at the Florida racecourse to follow in the footsteps of Arrogate who also won the Breeders' Cup Classic and the richest race in the world in the space of three months. The focus now for the team behind West Coast will be for the Dubai World Cup in March at Meydan. It will be the four-year-old’s first trip outside of the United States. His trainer Bob Baffert knows all about training horses for international races though as he has won the Dubai Carnival feature on three occasions, with his most recent success coming in 2017 with Arrogate. 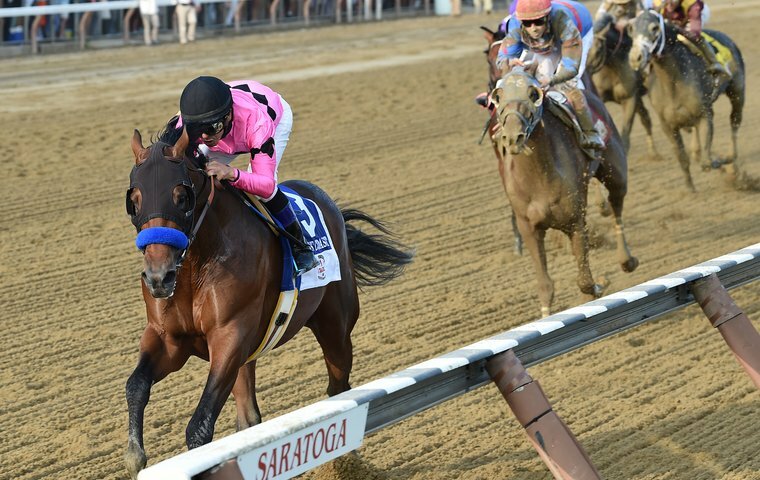 West Coast first broke onto the scene at the top level in the US when he landed the Grade One Travers Stakes at Saratoga as a three-year-old. The son of Flatter made all in New York where he was ridden out by jockey Mike Smith at the 400m pole. A second Grade One success came not long after at Parx in the Pennsylvania Derby. The margin of victory on that occasion was over seven lengths as he elevated himself as one of the leading horses in his age category in 2017. West Coast took his chance in a strong renewal of the Breeders’ Cup Classic last November where he did his reputation no harm, finishing third behind Gun Runner and Collected respectively. That was his first race against the older generation but one in which proved he was good enough to participate against the best in the world. Baffert’s runner is now 5/2 in the horse racing betting for the Dubai World Cup following his run in the Pegasus World Cup where he reversed his form with Collected. He is likely to travel out to Dubai over the next few weeks to acclimatise to the UAE before the big race at the end of March. Forever Unbridled is also set to make the long trip to Asia before March and will prove to be one of the biggest challengers to West Coast in the leading international flat race over 2000m. The six-year-old was last seen on the track when she won the Grade One Breeders’ Cup Distaff at Del Mar. Dallas Stewart’s mare has had a brilliant career with seven victories to her name but if she is able to come out on top in Dubai, it will be the biggest of them all for her. The 2018 Dubai World Cup takes place on March 31 as the two leading horses in the betting look to continue the USA’s great recent record in the race.